If you read nothing else on managing yourself, read these 10 articles (plus the bonus article "How Will You Measure Your Life?" by Clayton M. Christensen). We've combed through hundreds of Harvard Business Review articles to select the most important ones to help you maximize yourself. p>This collection of best-selling articles includes: bonus article "How Will You Measure Your Life?" 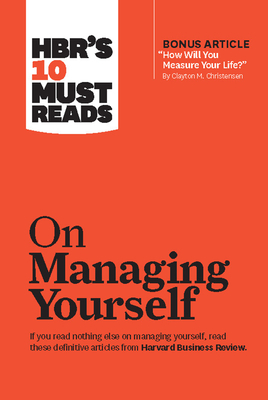 by Clayton M. Christensen, "Managing Oneself," "Management Time: Who's Got the Monkey?" "How Resilience Works," "Manage Your Energy, Not Your Time," "Overloaded Circuits: Why Smart People Underperform," "Be a Better Leader, Have a Richer Life," "Reclaim Your Job," "Moments of Greatness: Entering the Fundamental State of Leadership," "What to Ask the Person in the Mirror," and "Primal Leadership: The Hidden Driver of Great Performance."